Mechanically similar, General Motors’ LS and LS-based Vortec engines wound up on almost every branch of the GM family tree: Chevy, Pontiac, GMC, Cadillac, Buick—heck, even Saab, Hummer, and Isuzu got some LS love. Since LS and Vortec engines are so common, they’ve become the go-to performance and swap engines of the modern era. These motors are capable of making a lot of horsepower, and respond well to upgrades like turbos, superchargers, high-flow cylinder heads, intake systems, cams, and nitrous oxide. The aftermarket is strong, crate engines are available, and used motors are often cheaply sourced through junkyards. 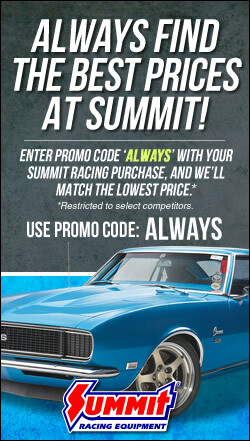 Summit Racing has created a series of comprehensive guides for each engine in the LS family, so engine builders and tuners can have a handy reference for their projects. This guide is specifically for the GM LQ4 engine. You can explore all of our LS engine spec guides and LS tech resources here. The LQ4 is a Gen. 3 small block engine used in GM trucks between 1999 and 2007. For marketing purposes, it was also known as the Vortec 6000. The information listed here is for the stock engine. Displacement 6.0L / 364 c.i.d. Deck Height 9.230 - 9.240 in. Main Housing Bore Dia. 2.751 in. (1999-07) 0.9447 in., 0.9448 in. Connecting Rod Length 6.098 in. Crankshaft Main Journal 2.559 in. Crankshaft Rod Journal 2.100 in. Flexplate/Flywheel Mounting Flange (1999-2000) 1.250 in. Flexplate/Flywheel Mounting Flange (2001-07) 0.857 in. Intake Valve Diameter 2.000 in. 2.000 in. Exhaust Valve Diameter 1.550 in. 1.550 in. Valve Lift (int./exh.) 0.457 in./0.466 in. 0.467 in./0.479 in. Lifter Body Diameter 0.842 in. Intake Valve Dia. 2.000 in. Exhaust Valve Dia. 1.550 in. Fuel Injector Flow 24.8 lbs./hr. Fuel Injector Length (between O-Rings) 1.9 in. Thank you very much. I am in the process of adding ls3 heads and boring to 4.065” to convert my 6.0 to a 6.2. I am going to make a cam change to hopefully build an engine to produce a pretty flat power curve for daily driving but help when pulling a 6100 pound travel trailer. The information you provide is invaluable to me. Tick Street Heat Stg 2 229/244 | .618”/.610” | LSA112+4. Cam, Ls3 heads. Anymore questions feel free to ask. I’m planning on building up my pickups stock LQ4. 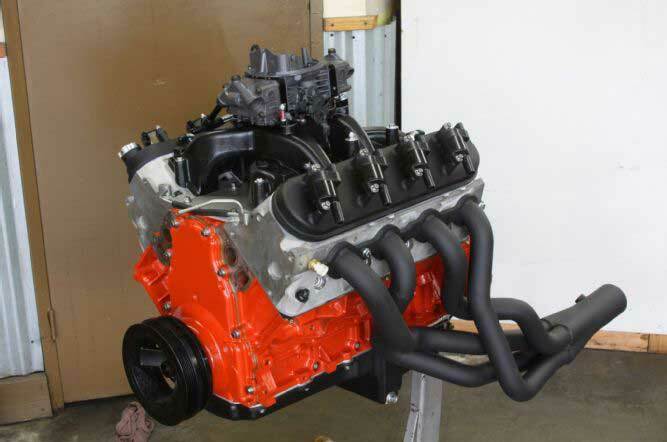 I’m planning on installing an LS6 cam, either LS6 or 243 cast heads, a Holly 102MM Sniper high rise intake, high output oil pump, and 42 lbs injectors. Will the stock ECM be just fine with all the upgrades or will I need to tune or replace it with one that will? This is my first LS build and I grew up with the first and second gen small blocks. Let me know please, thank you. Ls3 heads and Tick Street Heat Stg 2 229/244 | .618”/.610” | LSA112+4 cam. The reason for the cam is ls3 heads are very high flow, therefore a heavier-durable cam is needed. As far as a list for other bolt on upgrades:Choice of exhaust system, performance spark plugs and plug wires, better quality distributor (complete set), cooling fan, better quality oil. These are baseline upgrades that don’t involved SERIOUS time and money. Thanks for this very detailed information. I too am going to build my LQ4 for my 66 Nova. This info will be helpful. You’re welcome, Rusty. Thank you for reading. can i add 40 hp with a simple cam upgrade yo my 2004 6.0 lq4? everywhere i reed its a compleet top end change, id thought the 04 ls cathedral heads were the good ones… thought id gotten a good deal…, i can aford a cam swap, all i. after is 400 hp or close to… any help would be appreciated i hope i didnt waist my money on this 04 ls lq4. Simple things you could do is change the heads out with ls3 heads, larger cam, add a cold air intake, add an exhaust system- If you look around most manufacturers will provide a range of power increase. Examples; (10-15hp) or (16-21hp).- just try to choose the best one for your budget, higher quality performance;spark plugs, plug wires, distributor (complete set);better, hotter spark gives the truck the ability to burn off more gas when it is in the cylinder, having the truck tuned would definitely help after you add upgrades. Again, simple things that can be done to get you more likely than not to 435-485hp depending on the tune and how well the parts you decide to buy perform. by ghe way, im adding headers,x pipe exaust, electric fans, cold air induction id hoped a cam kit with all that eould get me to roughly 400 hp at thd flywheel….. I got a 2005 chevy 2500 HD. The manufacturer date is 10/2004. I am,curious if the 6.0 has gen 3 or gen 4 rods? Either way is fine, but I would like to know. Debating on whether to put it in a 69 Corvette, or a 476 Big Block. If anyone can tell me for sure, I would be very grateful. My LQ4 is an 01 from a Yukon Denali and it is a Drive by Wire. Ran it for 2 years in my 98 Silverado before pulling it to scrap the truck. Even wired up the cruise control from my 98 to the 01 TAC module to work. I am an owner of a 04′ 2500 Sierra looking to boost HP from factory 300hp to around 380-400hp with Torque increase as well. I am running the LQ4 6.0L engine and I would like to use as much factory product as possible. I am very familiar with Gen I/II small blocks but looking to tackle a new beast and get some pulling power. Can I achieve this gain with a cam and heads or should I consider a bore and piston replacement as well. I would like to spend as little as possible but I am willing to do all if needed. How will these changes effect the factory electronics/module and performance? Anything is less than buying a new truck and I have an awesome foundation/ truck already. Jason, you can hit your target easily with just a cam. The Summit Pro LS truck line has quite a few variants in stages 1 through 4. The Stage 1 high lift (uses factory LS6 springs) is part number SUM-8719. The drop in version of that is SUM-8712. There’s even a specific tow/RV cam meant to maximize torque in the 2500-3500 range called the SUM-8718. They can run with a factory tune, but a tune is heavily recommended. There is a lot of power there along with trans shift points and turning off torque limiting etc. We recommend doing this with your local chassis dyno tuner. The information you get is invaluable an will make it run just like the factory. The heads you have are pretty good. They can be CNC’d and that would put you well over 400 even with a smaller stage 1 cam. Another choice is the Trick Flow As Cast 220’s. those would bump compression a bit too. I have a 2006 LQ4 in my 3500 Silverado. Curious if the stock LS3 cam would be a good cheap upgrade for pulling, and overall performance.